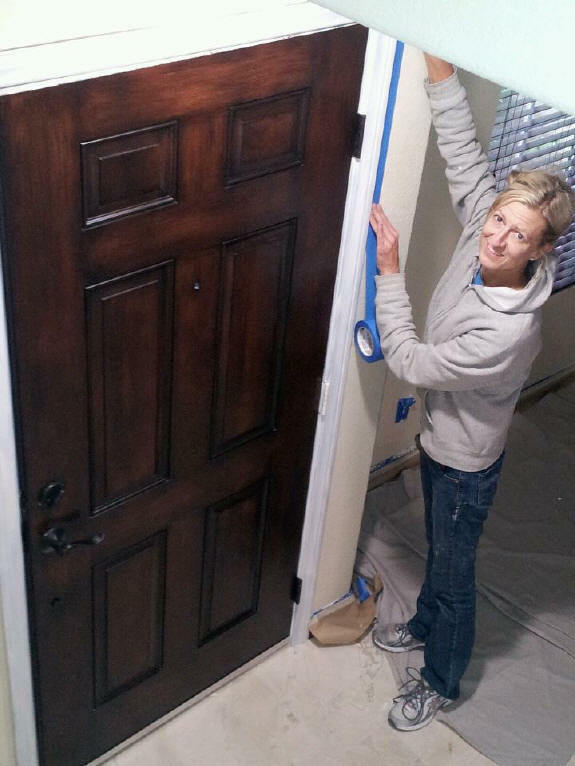 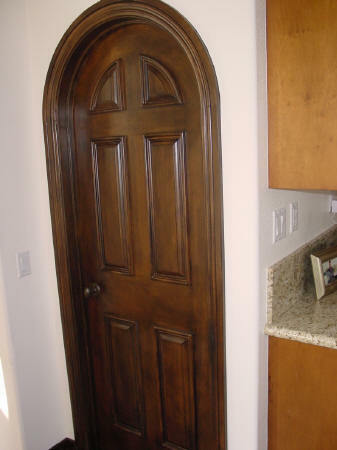 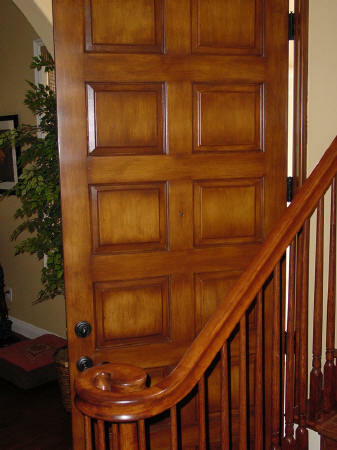 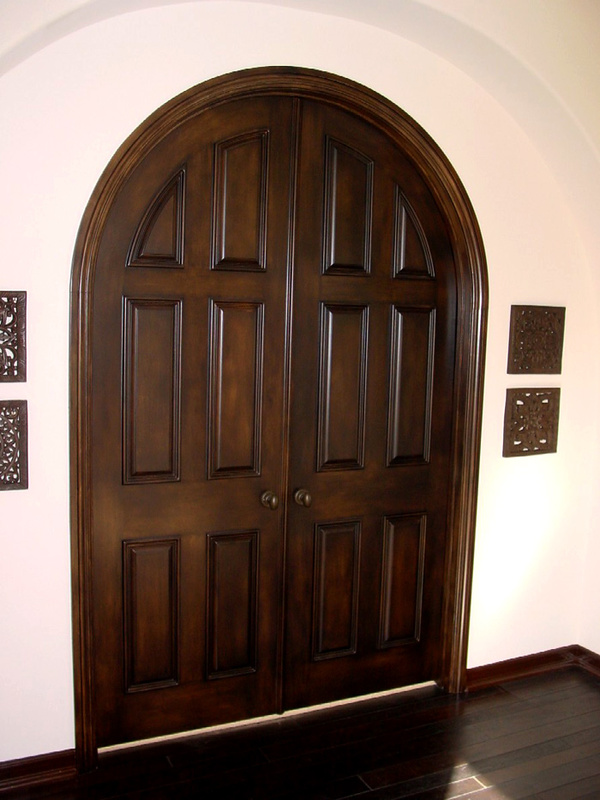 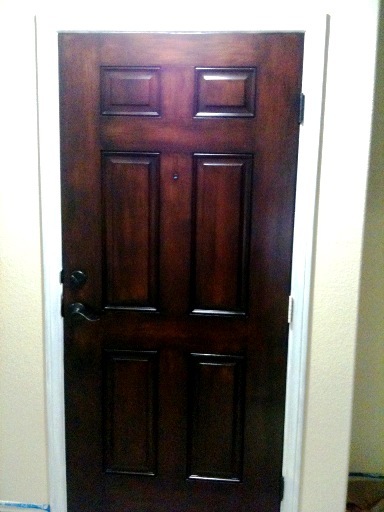 Want to replace your boring white doors with expensive wood ones? 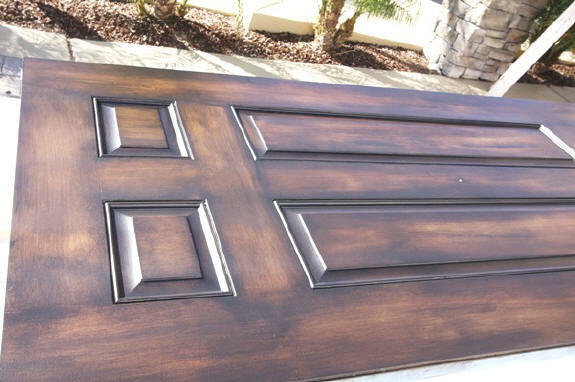 Have us Faux your doors instead. 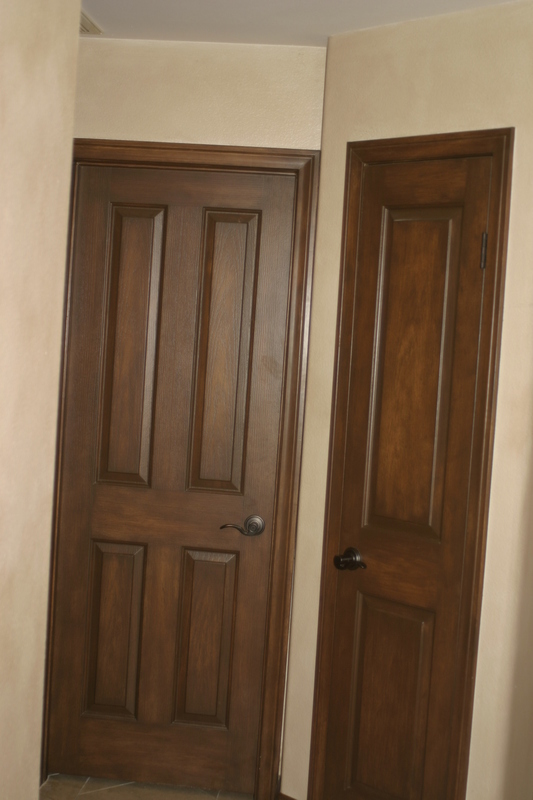 The faux wood finishes are hand applied to create rich and beautiful faux wood finishes. 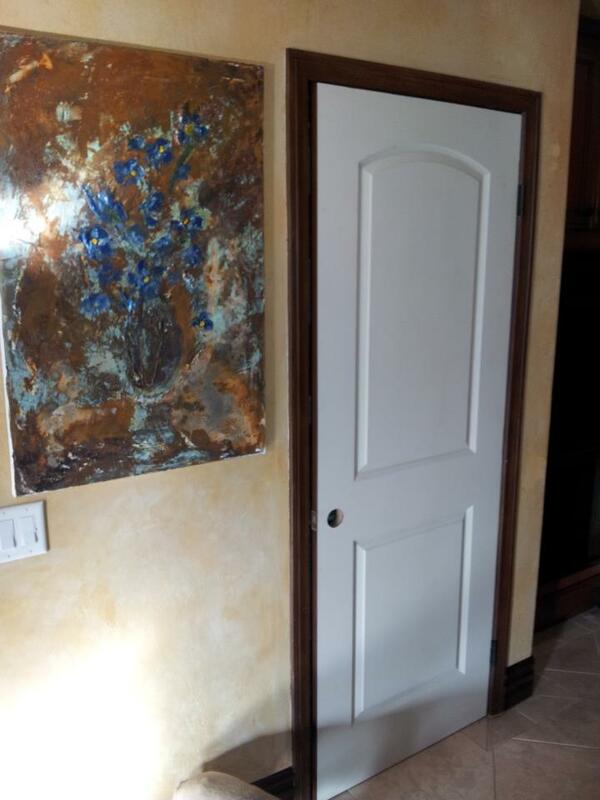 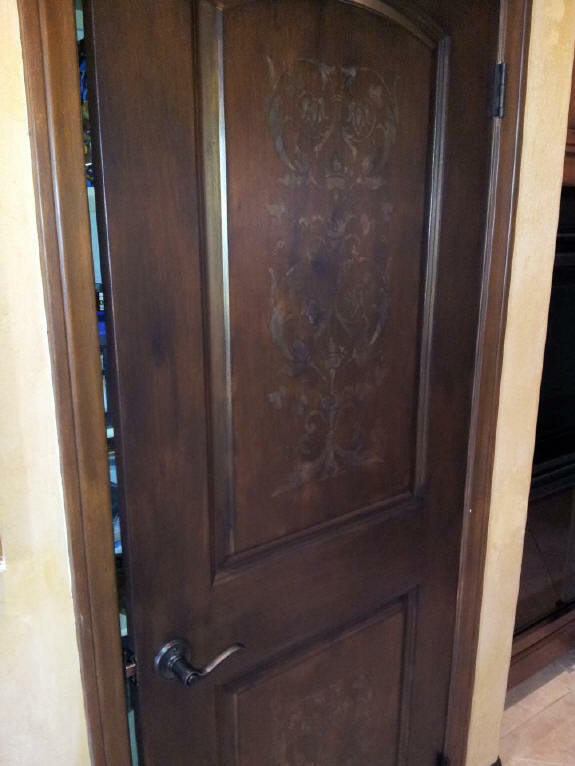 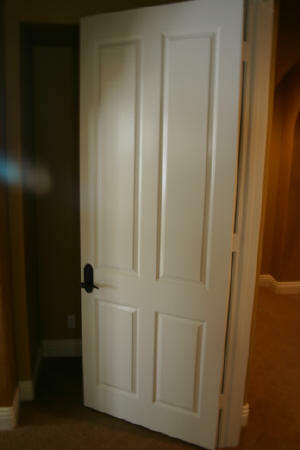 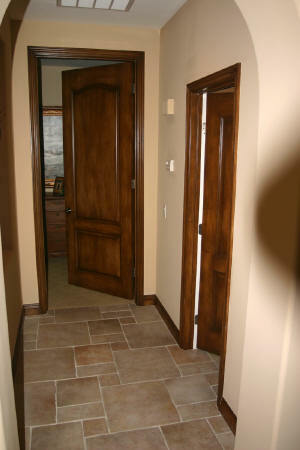 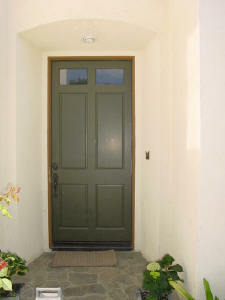 All these doors were fauxed to create an updated look to simulate real wood and its characteristics . 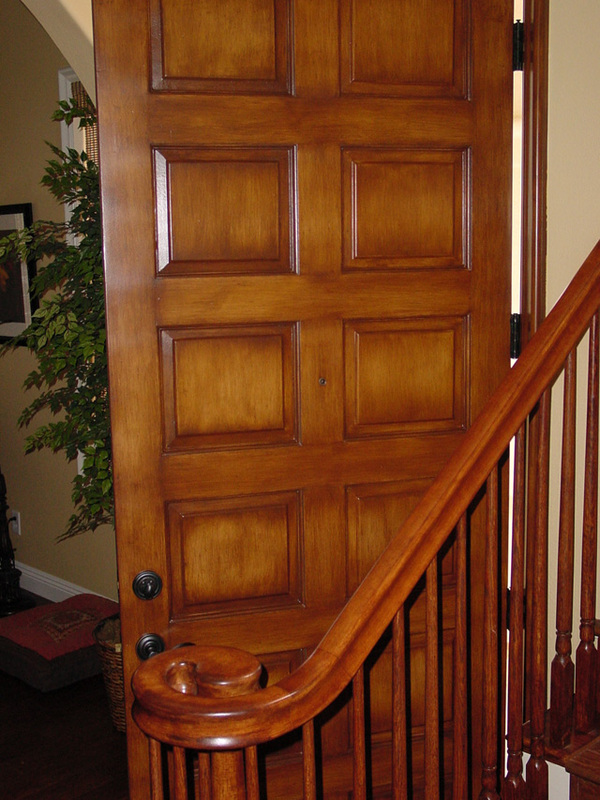 Any color tones can be created mimic any type of wood, like mahogany, walnut, maple, or cherry. 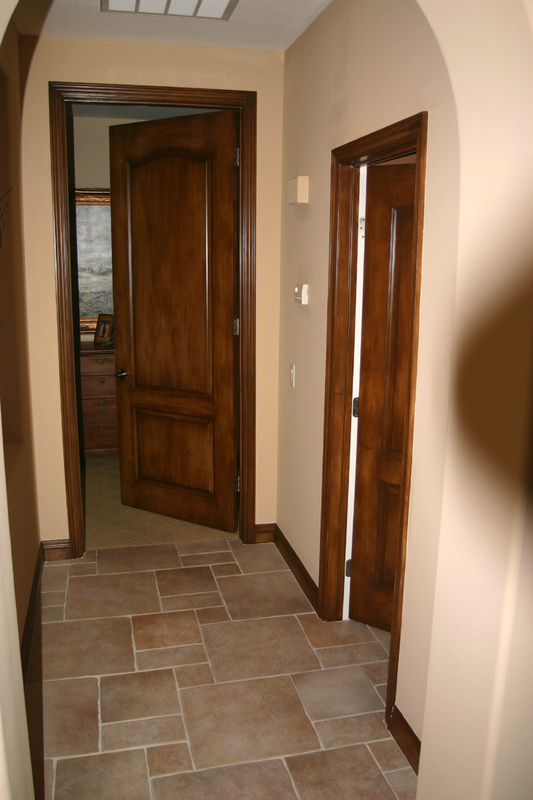 We use brushes and tools to draw in natural wood grain and the dimension we create is amazing.